X, 511 p., 3 ill., 18,4 x 25,5 cm. This volume contains three of Schelling’s transcripts of lectures given by Christian Friedrich Schnurrer on the Gospel of John as well as the ›Dodekapropheton‹ during his first two terms at the University of Tübingen. 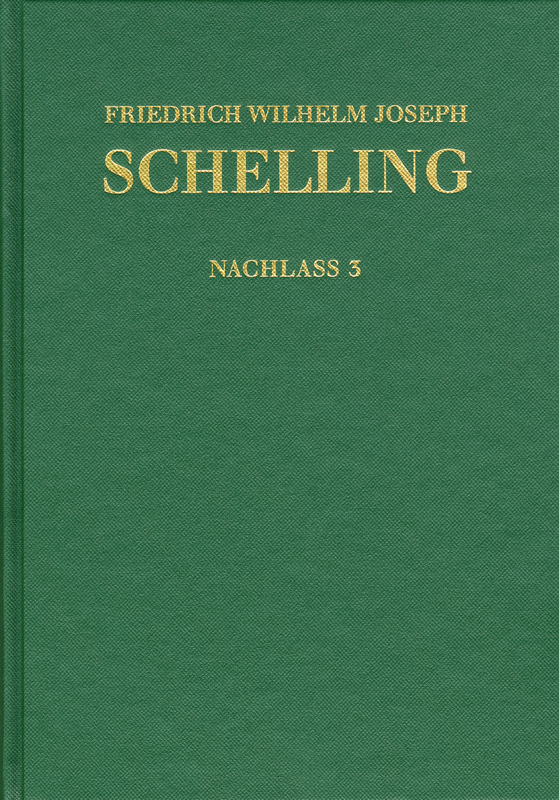 The notes taken by the young Schelling are not restricted to giving an account of Schnurrer’s lectures but also contain Schelling’s own comments on their interpretation. In a unique way, these texts document the type of exegetics which was taught to students at the end of the 18th century in Tübingen as well as the familiarity of the young Schelling with the exegetical and hermenetical debate of late Enlightenment theology.The volume contains editorial reports, annotations, indexes and a bibliography.